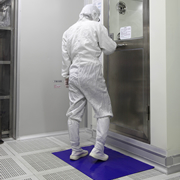 Q-Leap has over 50,000 square feet of ISO Class 10 through 1,000 certified cleanroom facilities. We have an array of advanced manufacturing equipment such as air jet loom, double-knitting machines, high-temperature air-flow washing machines, fast setting machines, mass scale water purification system, high-efficiency oligomer removal system, precision laser cutting machines, ultrasonic slitting machines, air flow washing machines, baking machines, cleanroom bags & tubes extrusion line and robotic packaging equipment. ISO 9001 and ISO 14001 standards have been adopted as the foundation of our manufacturing operations in the factory. The lab is equipped with testing instuments to include a Scanning Electronic Microscope, Ion Chromatography, Electronic Micro Balance, Infrared Spectrometer, Particle Measurement instruments and Abrasion-resistant test equipment. It starts from yarn manufacturing through knitting, weaving, washing, heat setting, cutting, edge sealing, robotic stacking and packing. 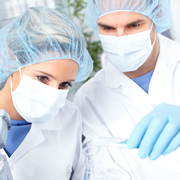 All manufacturing steps are carried out in a cleanroom environment with minimal handling. This process enables us to be the World First Truly Vertically Integrated Cleanroom Wipers Manufacturer. Q-Leap offers a variety of products for the maintenance and cleaning of your cleanroom and lab environment, including wipers, pre-saturated wipers, swabs and mops. Reduce particle contaminants from transit. We offer various sizes of quality adhesive mats to fit your floor. 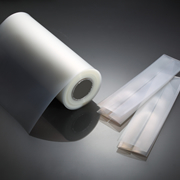 We manufacture various sizes and gauges of bags and tubing for your product packaging. Offering a range of cleanroom documentation products. Protecting customer products from human generated contamination.